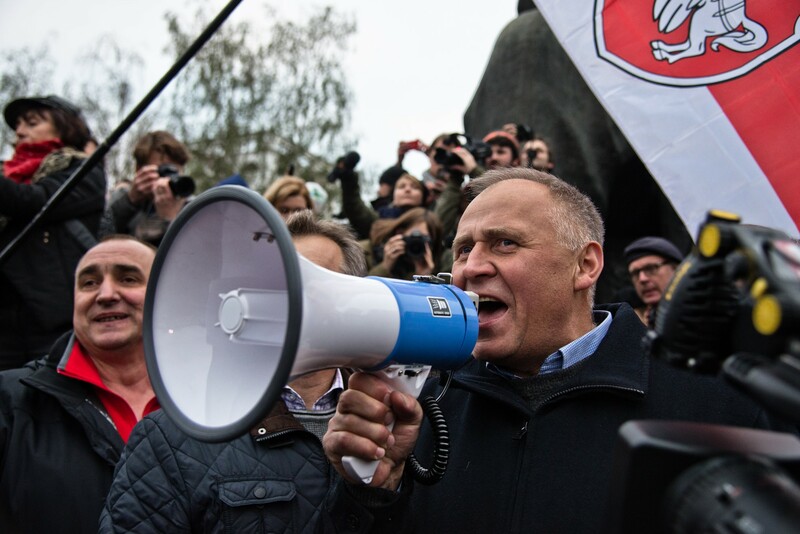 Opposition leader Mikola Statkevich leads a pro-democracy rally in Minsk, Belarus. The 100th anniversary of Belarus’ independence from Russia ended with dozens of arrests. At least 70 protesters who tried to hold a march in the capital city Minsk on March 25 were apprehended by police. Among those arrested were opposition politicians Mikola Statkevich and Vladimir Nyaklyaev, as well as 12 rally organisers. As reported by Deutsche Welle (DW), Germany’s international broadcaster, human rights group Vyasna accused President Alexander Lukashenko (in power since 1994) of deliberately trying to erase Belarusian identity and “Russifying” the former Soviet republic. Vyasna said five of its observers were among those detained by police. In a separate report, The Guardian noted that authorities allowed the holiday to be celebrated to avoid last year’s unrest and a possible new reprimand from Brussels.